Overwatch’s PTR, or public test realm, is a blessing and a curse for players. On one hand, they get to try out new changes before they go live. On the other, if players don’t love a change, there’s no guarantee Blizzard will do a 180. 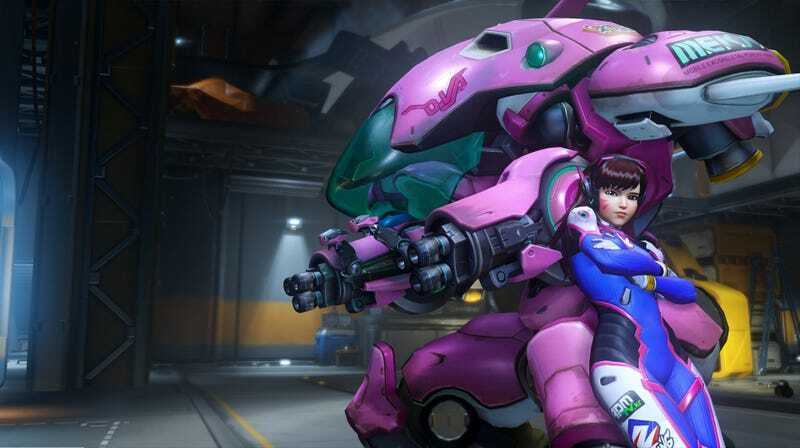 Right now, D.Va’s staring down the barrel of a big nerf, and they seem pretty set on going through with it. So basically, she’s less survivable (again) and her guns will function differently. Players have been arguing that Blizzard’s going too far ever since the changes were announced, but Blizzard hasn’t given into their increasingly irate demands. Today, Blizzard put out a developer update video to explain what’s going on there, and also on the PTR in general. Kaplan also pulled back the curtain and explained Blizzard’s goals when they toss something up on the PTR. A lot of players seem to think it’s all about feedback on the content of changes, and they feel ignored when Blizzard doesn’t give their misgivings the time of day. Turns out, there’s been a communication breakdown there. It makes sense. Only a small subset of Overwatch players use the PTR, and basing a majority of game-changing decisions around their feedback and their feedback alone probably isn’t the best idea. This goes double when you consider something else Kaplan pointed out: there’s bound to be a negativity bias on places like Overwatch’s forums, because people don’t usually go through the trouble of posting about something at length when they love it. Kaplan, of course, didn’t have to take the time out to calmly explain all of this (a lot of it seems self-evident, to be frank), but it’s cool that he did. I’m not sure if the content of his message will really sink in for persistent PTR salt-throwers, but I think, more broadly, the spirit and consistency of Blizzard’s communication does good things for the Overwatch community. Kaplan, especially, frequently demonstrates that he takes players’ concerns very seriously, and he creates a calm, clear dialogue with them. On the flipside, though, some fans take that to mean they’re entitled to a seat at the table every time the Overwatch team makes a decision, which definitely isn’t true, and probably wouldn’t be good for the game, either. So there are ups and downs to what Kaplan and co are doing here. Still, I think (or at least hope) this type of communication is more beneficial than not in the long run.